Rusholme Place (Campus Accommodation), Manchester, Greater Manchester, sleeps 5-50 in 50 bedrooms. 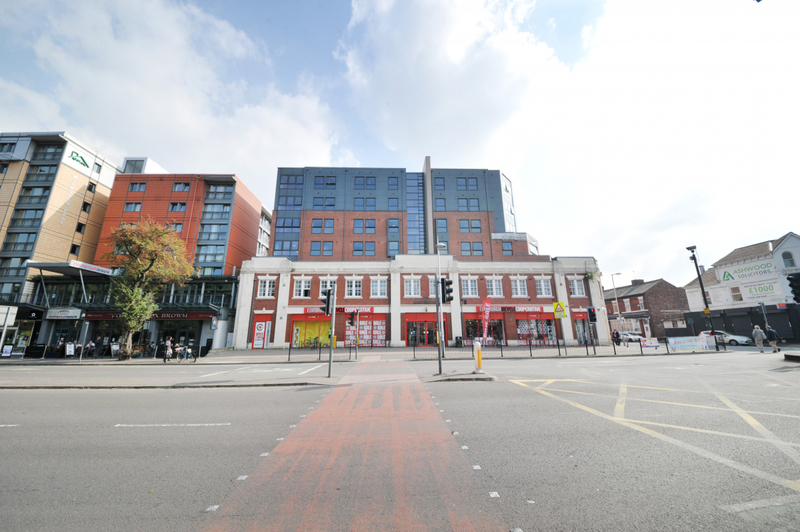 The accommodation is situated in the heart of Manchester, close to all major attractions as well as both Universities, the University of Manchester and Manchester Metropolitan University’s All Saints Campus. There are excellent transport links from the property, with bus stops right on the doorstep, train stations nearby and the airport only 30 minutes away. The city centre is only a 15 minute walk away from our accommodation. We are also located moments away from the world famous Curry Mile. See our local attractions section for more details! Rusholme Place offers secure accommodation in either completely self-contained, or classic apartments that are perfectly suited for our clients. There are three to five bedrooms per flat, each en suite with a shared kitchen and lounge. Each flat offers a dining area. There is a living area in each flat. TVs are not included in the flats. We have got free WiFi throughout the building. Single or double bed, plenty of storage, desk area and chair, shelving unit, chest of drawers and an en-suite bathroom. All bedrooms offer en-suite shower rooms with toilet, shower and sink. Disabled rooms are available. Please inform us in advance to ensure we have a room available for your stay. There is a courtyard area for you to enjoy. Manchester Aquatics Centre is just a 5 minute walk away. Limited parking is available, please let us know in advance if you require parking. 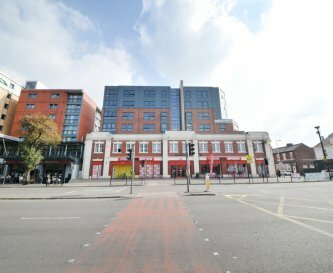 Situated in the heart of Manchester, close to all major attractions as well as both Universities, a short walk to world famous Curry Mile. Manchester has a wide and excellent range of eateries. This property is available in July and August every year. Manchester Piccadilly station is around 1.5 miles away, with several other stations also nearby. Lots of local buses in Manchester.